Digging It Deep: Why Logos Fail To Impress The Customers? Ever thought how would have people address you without your name? Or let’s reverse the process, how would you call somebody among many people without his/her name? Seems daunting, isn’t it? The same is the state with logo. It is the identity of the brand for people. It represents the company’s voice, services and various products that it has to offer them. Every company be it small or large require logo recognition for establishing brand identity, however, why only few brands reach to that level of identity while most of them fail to achieve that brand identity status? It is true that simple logo creates a lasting impression but with the change in time, the logo requirement is changing. Today, the logo concepts are different and creatively conceptual. However, making the logo too conceptually complicated can backfire the whole process. Experts from top graphic design services across the world holds similar view that extremely abstract logo design can become difficult for people to understand hence, marks bad impression. Always remember extreme of any side be it simple or complex is bad, designers will have to strike a balance to mark the logo identity in the market. Logo are meant to be the visual representation of the brand’s identity. They help in boosting good perception for the brand, however, a bad cliche logo can actually create more harm than good. Logo that are highly generic cannot sell the brand and becomes boring for customers. For example, world’s renowned company Apple uses the basic element of fruit in their logo but escaped from being boring and generic, with a simple bite on the logo. The bite can be interpreted by many people, all in different way but the magic of the logo kept people thinking and attracting to it as well. Well known designers believe that logo creation should be based on the principle of clarity, simplicity and universality. Logo based on these principle tends to be interpreted in the same way despite of change in environment or demographics. Influence of logo is highly targeted. 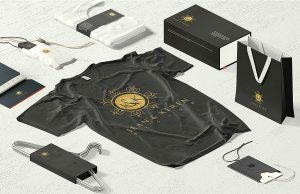 This means that the brand should have a set of targeted audience and the logo should be designed according to the liking and dislikings of the customers. Design elements such as colour, shape, layout etc are highly dependent on the market on which it is targeted, hence, before designing any logo specific targeted audience should be know for creating influence. Experts from best logo design company india suggest that using high quality image is mandatory for making a logo worthwhile. 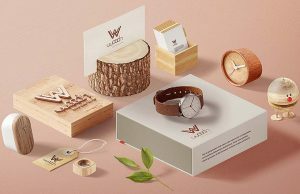 When poor quality image is used in logo, it creates bad impression for the brand when printed in various mediums, such as in brochures, visiting cards etc, in different sizes. Vector graphics are the best to be used for logos. They are made in coreldraw and adobe illustrators which make highly precise images. It is important to have consistent and high quality images for logo to make it successful. Logo represents brand’s identity. It should represent the service of the brand in the most creative form, hence it is highly important to keep the brand in mind. Make sure to understand and analyse the need of the client before designing the logo. The requirements given by the clients should be heard and implemented along with the need of the customers to make a great logo. There are times when we see that logo cannot project the service of the brand. They stand far distant from the brand they are projecting,hence, they fail to create any mark within the customers. Logo is not an image, it is the story of brand and its USP. Colours are always meant to attract the attention of the people but overdoing it can actually distract them. You can see examples of famous logos like nike, adidas, puma all are minimalistic yet so attractive. 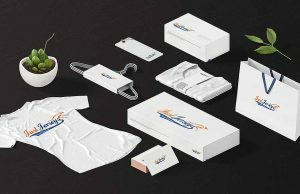 The usage of the colour depends upon the business, the logo will present. For example, McDonalds use some nice red, yellow like vibrant colour that are meant to grab attention in the most creative way. Using multiple colours can confuse customers but if presented and designed in an amazing way can actually give a great experience. The best example is olympic symbol with five vibrant colours. Make sure to avoid various kinds of filters and various fonts. Font size and shape should depend on the need of the client and visibility level as well. There is no doubt that logo should be trendy and should speak for the brand but it should also be timeless in thinking and appearance. A logo should depict the present trends in the market but is should not be too “flashy” or too much fashionable that makes it a failed logo. The key to success is simplicity, consistency and familiarity. You may design your logo in abstract format, still it should be capable to withstand the ideology of coming 50 years. It should attract customers and speak aloud about the brand and remain timeless evergreen. Getting inspired from someone is always a healthy way to become even more creative, however, copying someone is loss of creativity and dignity. It is considered as theft! Logo are always meant to be unique so that people can identify and interact with it. If the two logo resemble each other, it will confuse the audience and they will not be getting connected to any of the brand. Designers should make thorough research and investigation to know the trend in the market and then begin the designing process. Here the point to remember is, logo are meant to be evergreen. They are not frequently changed or altered and those who do face massive consequences. Therefore, it is ideal to hire professional logo designers to build unique logo. Starting a new brand and getting its branding right is not an easy task in itself. Logo which becomes sole identity of the brand should become the synonym of perfection and timelessness to get the brand it’s valid position in the market. 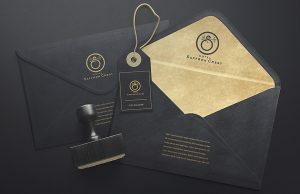 A logo which is unique, attractive and timeless will attract people. 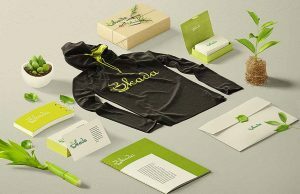 If you are about to begin with the process of your logo designing,make sure to keep these 8 points in mind and avoid committing these mistakes.